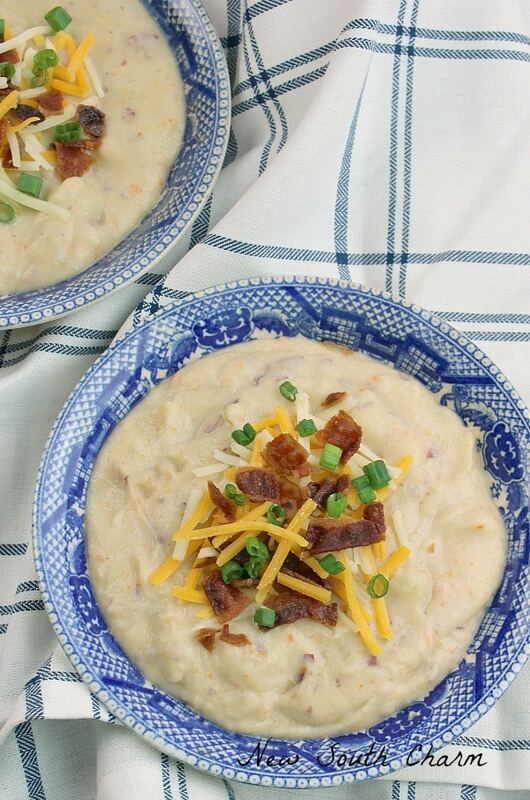 This Instant Pot Potato Soup is the ultimate comfort food. 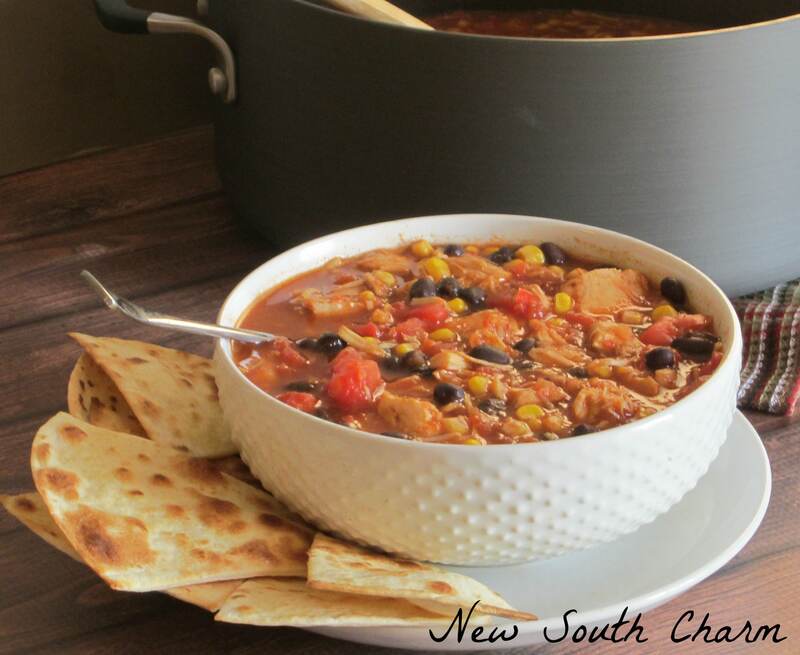 This savory and filling soup is ready in just about 30 minutes making it the perfect dinner for a cold evening. I recently bought an Instant Pot and honestly I was skeptical that it would live up to the hype. I was so wrong it’s amazing! It just might be the best small appliance I have ever purchased. 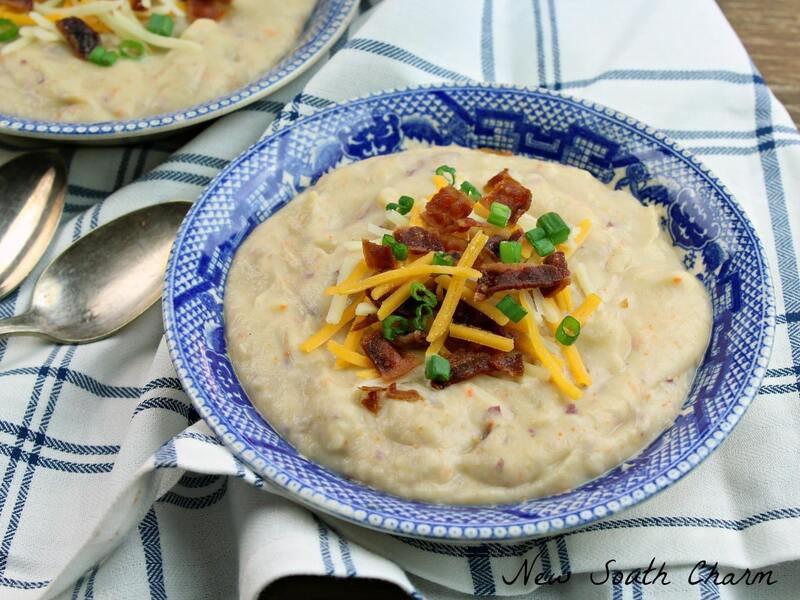 My first recipe I made was this Instant Potato Loaded Potato Soup and we love it so much we’ve had it three times in the last two weeks. 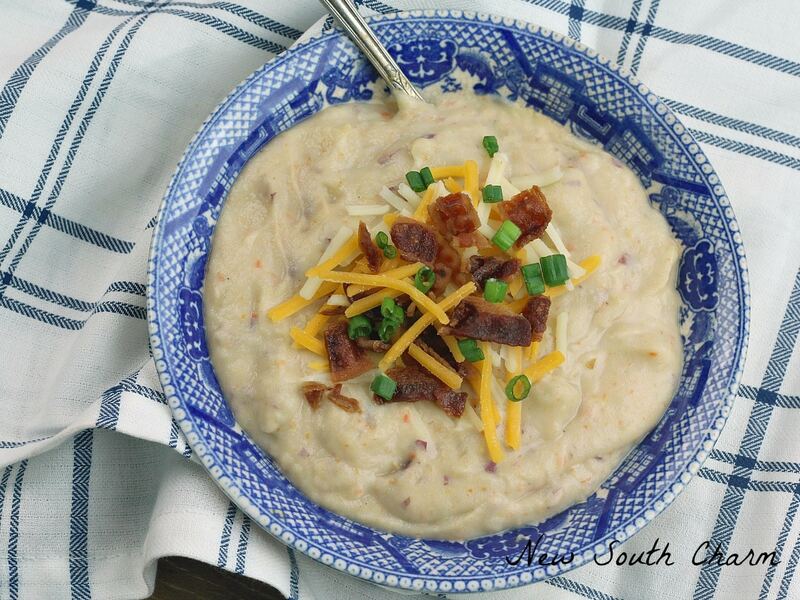 One of my favorite things about this instant pot soup recipe is that you don’t have to peel the potatoes!! All you have to do is give them a good scrub. Then, dice into bite size pieces then drop them in the bowl of the Instant Pot. Next add onion and carrot to the potatoes to the pot. Then pour in broth and season with butter, garlic, salt and pepper. I added a pinch of red pepper flakes for some kick but that’s optional. Once you’ve got the ingredients in the pot lock the lid in place and then make sure the valve is sealed. Set the pot to high and cook for ten minutes. At the end of the cooking time release the valve and wait for the pressure to release. Remove most of the soup from the pot and blend until smooth. I used my food processor to do this but you can also use a mixer or if you have one an immersion blender. Return the soup to the pot and pour in heavy cream and stir to combine. Garnish with bacon, scallions and cheese. 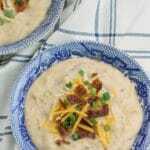 Instant Pot Loaded Potato Soup is a creamy, filling soup made with red potatoes, onions and carrots. 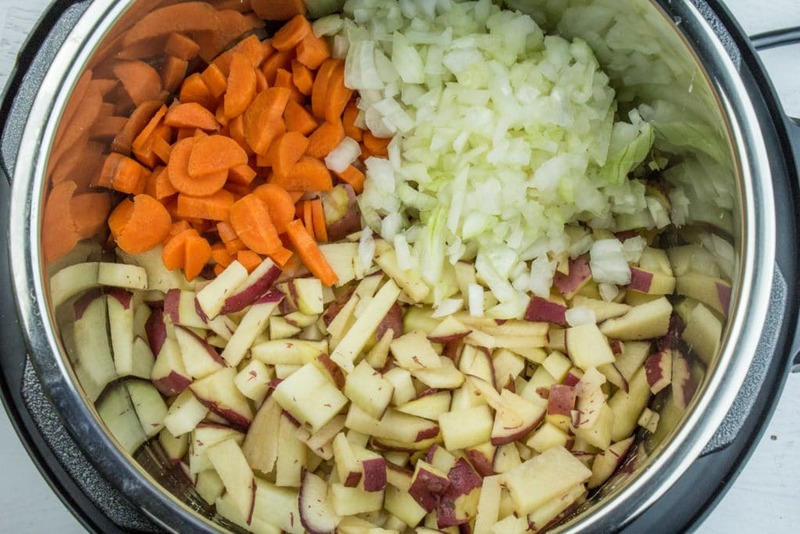 Place the potatoes,carrot, onion, garlic, butter and broth in the in Instant Pot then seal the lid in place and make sure the valve is closed. Set the Instant pot to Manual (or High depending on model) for 10 minutes. When the cooking time is complete release the valve and wait until the pressure is released. Remove most of the soup and blend until smooth using a food processor or blender. Garnish with bacon, scallions, and cheese if desired. 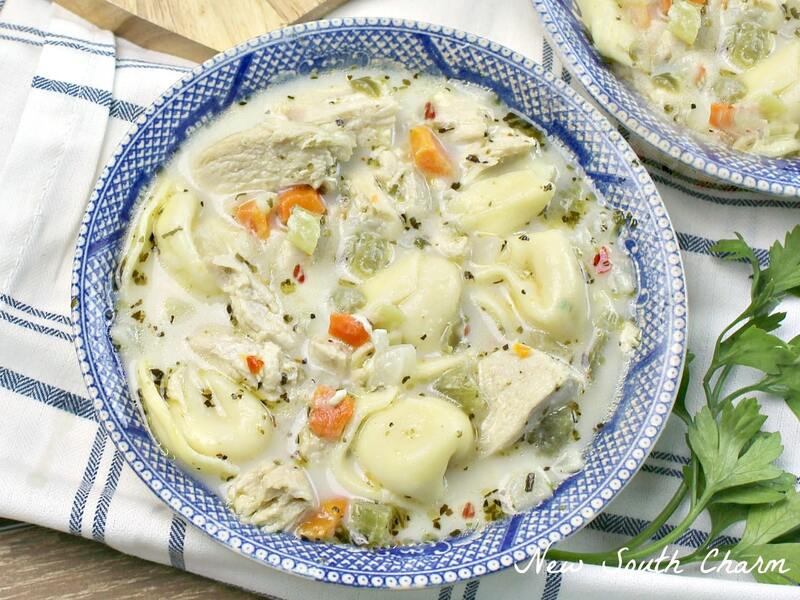 Looking of more great SOUP recipes? This looks fabulous. What happens if you don’t blend the soup? I think it’d be more appealing blended, but don’t like the idea of doing it…and dirtying the mixer. Ha! Annette I’ve not made it without blending but I’m sure the potatoes would be tender enough to still eat as a soup. I hope you give it a try! Let me know what you think!! Hi Susanne. I made your recipe tonight, the only thing I did differently is cut it in half. I added the carrot with the potatoes, it didn’t say where to add it. I used an immersion blender. It came out super thick, almost like eating mashed potatoes. Do you have any suggestions? More broth or milk instead of heavy cram? Thank you! I’m so glad you tried this recipe! I think it is too thick that adding a little broth would be the best way to thin it down to your desired consistency. I would recommend adding it a splash at a time and then stir it in so that it doesn’t end up being too thin!